Let’s face it. 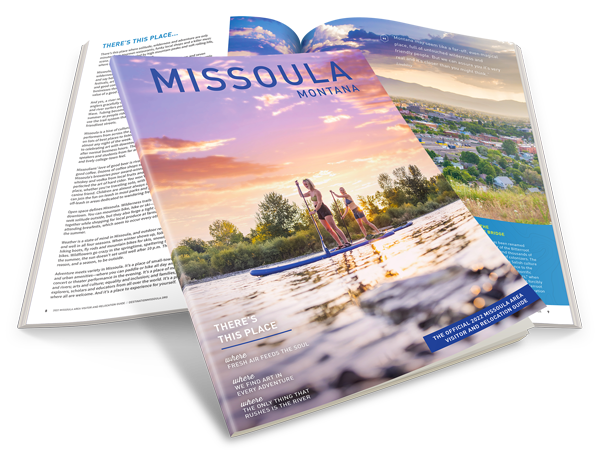 Missoula is constantly thriving – full of exciting experiences and opportunities that take full advantage of Missoula’s identity as a cultural mini-metropolis beating within the heart of Mother Nature. While the list of things to do in Missoula during the summer could fill the valley itself, there are 5 not-to-be-missed Missoula events every visitor and resident should experience at least once. Courtesy of live music and an abundance of food vendors, Caras Park transforms into an outdoor community center every Wednesday afternoon in June, July, and August for Out to Lunch. Grab a bite to eat and listen to some local musicians before taking a stroll down the walking path that follows the Clark Fork River. A Carousel for Missoula and Dragon’s Hollow play area round out the family-friendly event and offer your summer afternoon a little touch of magic. Though similar to Out to Lunch, Downtown ToNight takes place on Thursday evenings during the summer and offers a completely different atmosphere. Everyone is invited to what could arguably be the largest block party in the city, featuring a weekly family activity and access to a beer and wine garden. Don’t forget to take a moment to watch the surfers at Brennan’s Wave. Make no mistake, it is a truly unique experience and all part of the Missoula lifestyle. What started off as a walking gallery night, where the community could experience local art and become acquainted with local artists on a semi-regular basis, has turned into one of the top cultural events of Missoula! The first Friday of every month now hosts an abundance of events from poetry readings to musical performances and the action just keeps growing. A great place to start is downtown, but don’t limit yourself to just a few of the venues when Missoula has a startling assortment of museums, galleries, and shops that participate all over town. Many places offer wine and hors d’ oeuvres and the night promises to offer the atmosphere of a laid-back, engaging cocktail party with a twist. Straddling the line between historical significance and an evolving, modern culture, the Missoula Celtic Festival claims the right of being a top highlight of Missoula every summer. The performers are always flawless, bringing energy and a love for all things Celtic to Caras Park. Explore fabulous food and refreshing beverages of all kinds while you sit back and enjoy some of the best entertainment Missoula has to offer. Don’t worry, family and friends are at the heart of this event and the best part is admission is completely free every year, for everyone! Held annually in Caras Park, this family-friendly evening of pops, movie themes and light classics is a Montana summertime tradition. The event is free and open to the public, food and drink may be purchased from food vendors in the Park. Quite possibly the epitome of summer in Missoula, this free festival features an array of events including an art show, the 4-Mile Fun Run, the Family Fun Festival, and fantastic live performances. So much is jam-packed into this one weekend, in this case August 25th and 26th, that it seems impossible for two short days to offer so many experiences. This festival celebrates the very heartbeat of the city and you never know who you will run into or what fun new encounter you will have while you explore all of the many attributes that define Missoula and make life here so distinctly unique. There are, of course, many other lively Missoula events to be found in Missoula each summer, and you should always keep your ears perked and your eyes open to what’s coming up next. However, the events listed here are tried and true Missoula classics that should not be missed. Throughout the summer there is something for everyone: an atmosphere, a performer, an experience, and living it the Missoula way guarantees you a memory you won’t ever want to forget!